Dominican Republic golf courses have seen their popularity as a golfing vacation destination grow steadily in recent years, due to its stunning location and great weather. Golfers in particular are well catered to and there are some superb world class golf courses to be found upon the island. 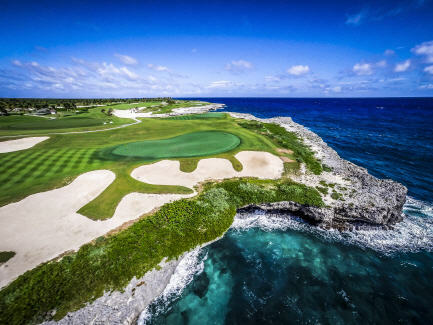 I know when my buddies were doing their planning, the sheer choice may at first was a little confusing to them, so here are some of the more common questions relating to a golfing holiday in the Dominican Republic are answered. How many Dominican Republic Golf Courses are there? There are currently more than 25 courses for the avid golfer to choose from. Most of these are 18-hole courses, there are also a few 9-hole courses, and even a 27-hole courses. A few courses are members only, but the majority are either close to or linked with hotel resort complexes. Where are these golf courses? 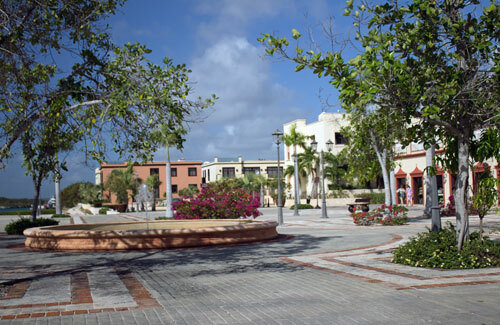 They can be found all over the island, with the largest number being located on the Punta Cana coastline. This is a popular area for players and it is quite possible to play a different course every day if so desired. Many of the golf courses found throughout the Dominican Republic have been designed by either former world class golfers, or well known course designers such as Nick Faldo and Pete Dye have all helped to design some of the courses, bringing their vast knowledge and expertise into play. Add to this the stunning locations that many of the courses are situated at. Casa de Campo: This is in fact a resort which boasts several courses such as the Teeth of the Dog, Dye Fore and The Links. These courses designed by Pete Dye have achieved an almost legendary status amongst golfers. Playa Grande Golf Course: A 72 par course which is situated on the north coast on top of some cliffs, and looking out over the beach and ocean. The views from here are simply stunning! Corales Golf Club: Designed by Tom Fazio, it is his only ocean side course he designed opened in 2010. Punta Cana Resort and Club: Another of the golf courses designed by Pete Dye, which has his trademark pot bunkers to test the mettle of all who play there. 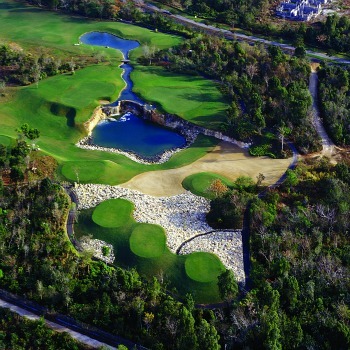 Punta Espada: Regarded by many as the best of the golf courses, this is a Jack Nicklaus signature course. 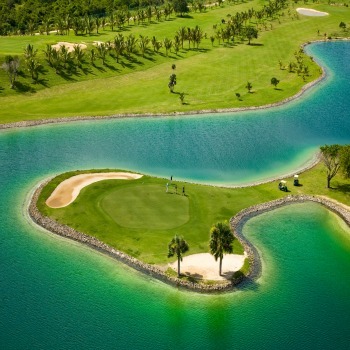 A 72 par course with amazing views of the Caribbean, eight of the holes are played along or even over the sea. Guavaberry Golf & Country Club was designed by Gary Player. It features plenty of unique design attributes, including a 15-foot waterfall cascading into a quarry pond on the signature par-3 13th. 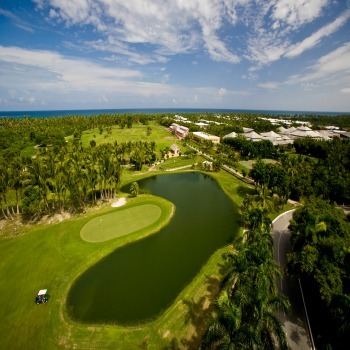 The Caribe Golf Club is also part of the Catalonia Bávaro Resort. Designed by Alberto Sola and Jack Corrie, the well-maintained course is open from October to June and features a large lake — impacting holes 5, 6 and 15 — five lagoons and numerous shade trees. Cabeza de Toro Golf Club is one of two courses located within the Catalonia Bávaro Resort in Punta Cana and lies adjacent to the Caribe Golf Club course. The challenging nine-hole executive course is surrounded by swaying palm trees, pristine waterways and incomparable views. The Dominican Republic is the second largest country in the Caribbean and continues to be one of the top destinations for golf, so whether you are an experienced or an occasional player be prepared to play some of the most challenging courses under clear blue skies and spectacular ocean views. Dominican Republic Golf Courses and Your Experiences Write About It Here!